You are probably well aware that eating after a workout is necessary if you want to maximize your hard work in the gym. As we lift, the muscles tap into glycogen to fuel our energy needs and deplete amino acids to fuel working muscles. After an intense workout, the muscles are starving for important nutrients to kick-start the recovery process and, most importantly, re-ignite muscle building. If you miss this one-hour time period after your workout when your muscles are highly receptive, you can forget about ever building any muscle or even keeping the muscle you already have. But even worse than not eating after a workout is feeding your body the wrong food. In fact, you could be hindering your results and your progress if you are not capitalizing on your post-workout nutrition. So what should avoid eating after a workout? Here are just a few items to stay away from, and how to correct your post-workout nutrition for maximum results! PLANT-BASED PROTEIN POWDERS. These may be “good for you” and can be a good source of protein for vegetarians, but unfortunately many of them lack key essential amino acids that are needed to stimulate protein synthesis or muscle building. Although some vegetarian protein powders now offer up all the essential amino acids that our body needs by combining a few different protein sources, the majority of research supports the use of whey-based protein powders for driving protein synthesis. Vegetarian protein sources may have the essentials, but it doesn’t mean they are in the right proportions to support muscle building. Whey sources provide a high content of BCAAs including leucine, which is a known facilitator of muscle building. Switch it Up. Opt for a post-workout protein powder that is whey-based with a high concentration of the BCAAs such as whey isolate, whey hydrolysate or a blended whey protein including whey concentrate. STEAK. Yes, this protein source is great for any muscle building diet, but post-workout is not the best time to eat it. 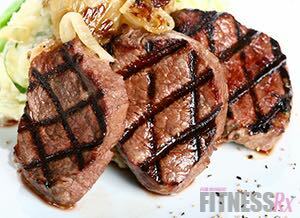 Steak requires a lot of energy to be broken down and used by the body. It’s also full of fat, which further slows down digestion. After your workout, you want a fast source of protein that will be delivered quickly and rapidly to your muscles. Switch it Up. Instead of red meat, stick to a fast-digesting protein powder such as whey, and if a liquid meal isn’t possible, eat a protein source that is easier to digest such as chicken or white fish. OATMEAL. This high-fiber complex carbohydrate is very slow digesting. During post-workout you need to replenish your muscle glycogen reserves fast. This carbohydrate just isn’t going to do the trick. 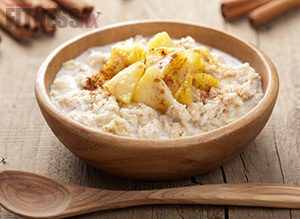 Leave oatmeal for breakfast when you need a lot of energy to kick-start your day! Switch it Up. Instead of complex carbohydrates, opt for simple carbohydrates such as a carbohydrate powder, white rice, white pasta or even rice cakes. Post-workout is the time to drive up blood sugar levels and spike insulin levels. Insulin is a shuttling hormone that will grab sugar and aminos in the blood and transport them to your muscles for uptake. Combine a scoop of protein powder with a simple carbohydrate powder and you will be well on your way to replenishing glycogen stores quickly! COTTAGE CHEESE. 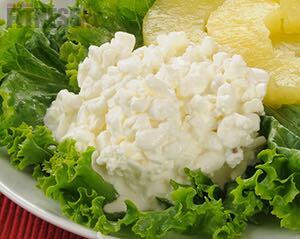 Although a great source of protein, cottage cheese is extremely slow digesting. This protein can take hours to be completely absorbed and digested— up to seven hours, in fact! Not ideal when your post-workout nutrition goal is to replenish nutrients to your muscles pronto! Switch it Up. 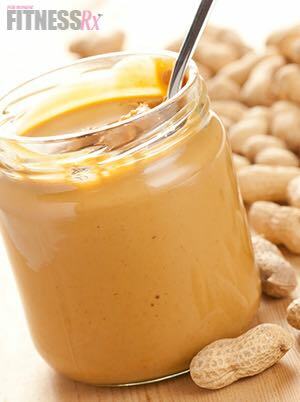 Make your protein source easy to digest post-workout and liquid if possible! 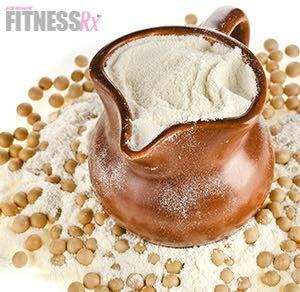 Whey protein is ideal as previously mentioned, but white fish or even chicken or turkey are good alternatives. NUTS. Although you might be tempted to throw a tablespoon or two of your favorite nut butter into your post-workout shake— don’t! Nuts are full of fat and fiber, both of which are slow digesting and will slow down the digestion of other important nutrients including protein and carbs. Switch it Up. There is no substitution for nuts, or fat for that matter. Reserve fat source nutrients for throughout the day or after your post-workout meal!